Category: Manicure/Pedicure Tables.Tags: Hair Salon furniture, Pedicure Furniture, Salon Equipment, Salon Furniture. 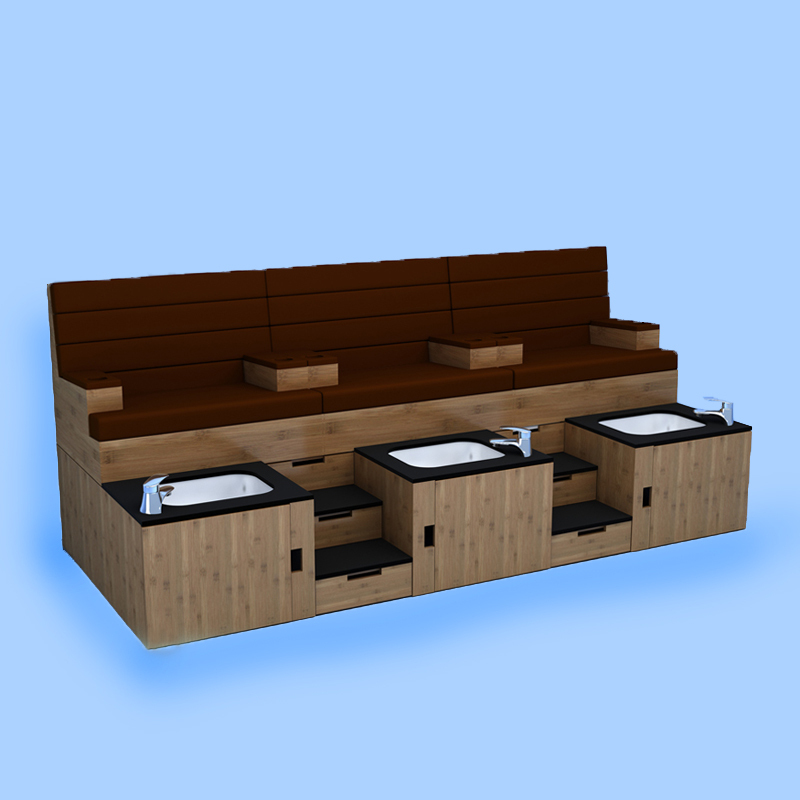 Our new Pedicure Station is our “Customized” unit personal specifications. It’s available in 1 – 8 units and is available in various fabric and laminate options. This unit includes sink and cushions. The Pedicure Station is part of the Eurisko Design Collection that has mirrors, stations, desk, retail furniture, makeup tables, manicure tables, pedicure stations, shampoo back bars, express services bars and spa cabinetry. Visit our products for all your salon furniture and design needs.